The person who paid for your coffee, the one who complimented your shoes and the stranger who gave a friendly smile all have one thing in common: they are Daymakers—someone who makes someone else’s day through an act of kindness. Since Juut Salon Spa owner David Wagner coined the term in 1986, he changed his title from Stylist to Daymaker, wrote Life As A Daymaker, and started a movement through spreading the message that we can change the world through kindness. 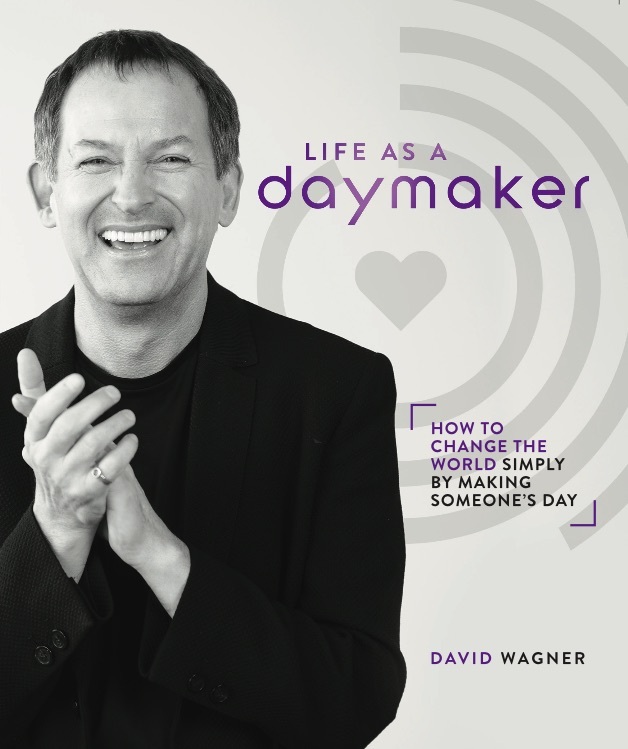 Read on to learn more about what it means to be a Daymaker from David himself. Where did the inspiration for the Daymaker Movement come from? David: I was working in my salon one day when a client came in to have her hair styled, and she told me that she just wanted to look and feel good. So, I gave her a great scalp massage, then shampooed and styled her hair. During our 30 minutes together, we joked and laughed. At the end, she smiled radiantly and hugged me goodbye. A few days later I received a letter from this client and I began to realize the enormous potential of Daymaking. She admitted that she had wanted her hair styled so it would look good for her funeral. She had planned to commit suicide that day. But the wonderful time she had during our appointment had given her hope, and she decided to check herself into the hospital and get professional help. I was stunned. I had spent time with this woman about once a month for three years, yet that day I had no inkling she was so distressed. I was glad to have made such a difference, yet the experience left me with an enormous sense of responsibility. What if I had been upset, distracted, or hurried when she came to see me? I took stock of myself as a stylist and as a person. How many of the 10 clients I saw every day might be in a personal crisis that I would never know about? I resolved to treat every person I met like that woman and give care and attention to everyone I saw. I figured it would make their day a little better, and who knows, it might save a life. Do you need to be a hairstylist to be a Daymaker? David: No, it’s not what we do for a living—it’s how we approach our work. Work should be an expression of who you are. It’s a personal calling. I have been offering seminars on Daymaking for over 25 years now, and many people have taken the concept back to their own companies and created a renewed sense of purpose in their workplace. The businesses range from little coffee shops, retail stores, medical clinics to financial services, car dealerships, and major banks. All of them see the value of Daymaking, not only to their customers or patients but to their employees as well. Having a sense of purpose in your work, whether you’re saving a life or making someone’s coffee is truly a blessing. What is one of your favorite Daymaker stories? David: When I first published my book, a friend called and explained that the book had transformed her 84-year-old grandfather. He was an angry old man, and she couldn’t remember a time that he had said a kind word or been nice to her grandmother. She gave him my book as a present, after reading it, he made his wife of 51 years their first candlelight dinner and gave her a poem that he wrote for her. He changed at the age of 84—he went from being a curmudgeon to a Daymaker. Since then, he has passed but his poem keeps getting copied and given to the next grandchildren as a remembrance of who he was and how he felt about his wife. He changed how he would be remembered by simply being a Daymaker. With all the negativity in the world, what advice would you give to someone who feels like they can’t make a difference? David: I believe that the world has more good than bad. Each of us has the ability to make the good bigger, while shrinking the bad. Kindness can inspire others. Kindness can diffuse anger. Kindness can bring hope, heal pain, and change the world. We can take comfort in looking back at the end of our lives to recall how many people we have touched in positive way. It would be a tragedy not to be able to look back on our lives with pride and satisfaction. What we experience is up to us. We cannot change the past and the mistakes we have made, but we can learn from them and make the most of each day ahead. Have an extraordinary life by making the days of everyone you touch. Act out of concern for others. As you do this more often, you will develop the habit of Daymaking. You will think less of your own concerns and more of the impact you can have on another’s day. You will find peace and joy. Kindness will become effortless and unconscious. It will become who you are. You will fill your life with perfect moments. The Daymaker Movement is growing—what does the future look like? David: I see a planet on the brink of transformation. Many people are reevaluating their priorities. Millions work to create a better life for themselves and their loved ones. Personal growth, yoga, volunteer work, and charity have become powerful movements. We are on the brink of a tipping point, and I have a role, like you, in tipping it in the right direction. Why settle for a world full of fear, loneliness, despair and hate? We cannot sit on the sidelines and hope things will change. I dream of a world where kindness creates a ripple that becomes a wave—one so powerful that it washes away the unnecessary pain and suffering in the world. We can do this. We can build a revolution of kindness. We’ll see that these little deposits will result in a very large shift in our society in our lifetime. It’s already happening. Inspired? 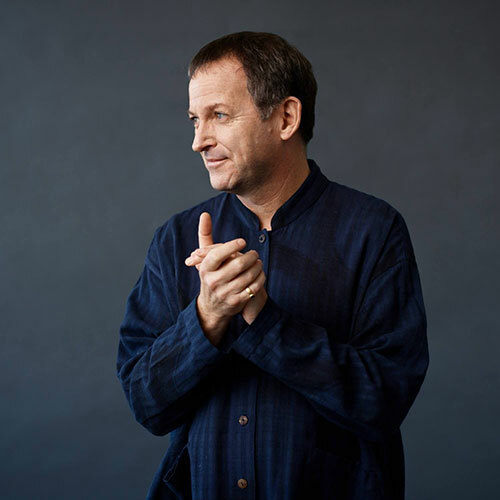 Visit David’s website to join the Daymaker revolution, and check out our interview with him below.